DON’T FORGET: You must have Newcastle Flyers registered as your parkrun club, or your results will not be calculated. Points allocated for each event will not be split into male and female categories. All Flyers running on the day will compete against each other. This is possible due to parkrun Age grading being standardised. Trophies will still be awarded to the Best Overall Male and Best Overall Female at the end of the season. Each runner will have an ‘Average Age grading’ for their best 5 results. This will be used to rank competitors in the event of a tie. The maximum reduction in a handicap time has been reduced from 30, to 15 seconds. There will be 20 designated parkrun events across the region (see below) whereby members can run to earn points in the Points Series championship and qualify for the Handicap Series championship. You must have Newcastle Flyers registered as your parkrun club, or your results will not be calculated. Each eligible runner will be ranked using the parkrun Age Grading result for that event. This allows an equal playing field across the membership base. 1st place 100 points, 2nd 96 points, 3rd 93 points, 4th 91 points, 5th 90 points, reducing by 1 point for each position with a minimum of 2 points to be scored. Best 5 results to count for the Best Overall Male and Best Overall Female categories. In the event of a tie, the Average Age grading across the best 5 points results will be used. At the end of the Series, a separate Flyers only event will be held to determine champions. Participants start times will be handicapped based on their form during the parkrun series (see explanation below). The first runner across the finish line will be determined the winner. Final Handicap Event is compulsory for the Male and Female Handicap categories. A minimum of 4 parkrun races are required to be eligible for the Handicap series event. Members without a minimum of 4 parkrun races may apply to race in the event however will be allocated a handicap via the committee. These handicaps will be determined based on previous personal bests and will likely be significantly over the current form of the runner. All handicap decisions are final. The Flyers handicapping system used for the parkrun series has been around for many years and is in use by running clubs around the world. It is a robust system and has stood the test of time. It is difficult to beat and you can't "work" the system to your advantage meaning the winner of the handicap competition can be any member of the club. The two key elements in each race are your race time and your handicap. Due to differing terrains across the regions’ parkrun courses, some parkruns may have a handicap adjustment for all runners. E.g. 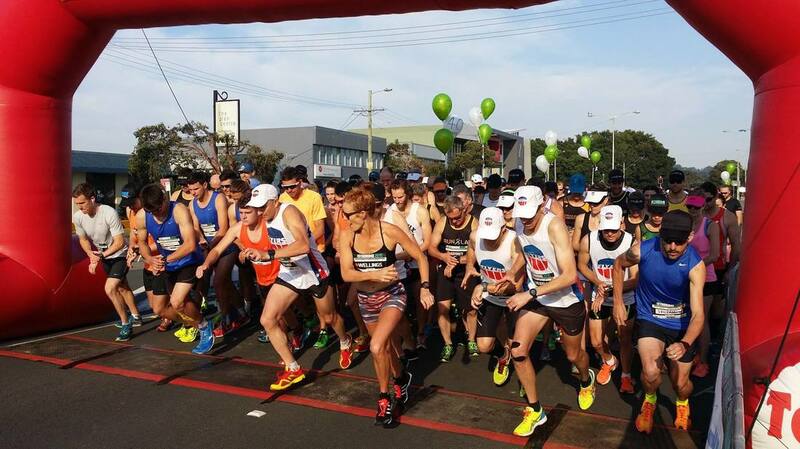 if a runner can run 20 minutes on a flat Newy parkrun, the equivalent time on a hilly course like Blackbutt might be 22 minutes making it 10% slower. This would mean that times run at Blackbutt would be reduced to 10% so they compare with the flat courses… confused? Don’t worry, these calculations will be made automatically. All you need to do is run your best at each event. A handicap will only change if you run and complete a race (DNF does not count). No matter how slowly you run, your handicap will only move out a maximum of 15 seconds per race. Consistency is more important than a once off great performance. Improving throughout the year has the best chance of doing well in the competition. The handicapping system brings your handicap crashing down fast, but it takes forever to move out again - and there is nothing you can do about it, so enjoy!